Starboard Short https://www.review-australia.com/global/starboard-short-navy-white/RE19PA018.RENVY009.html All aboard for a stylish adventure with the Starboard Short. A summer-ready new favourite, these chic and playful shorts are a floaty fit, with a fitted waist and wide flare through to the hem. 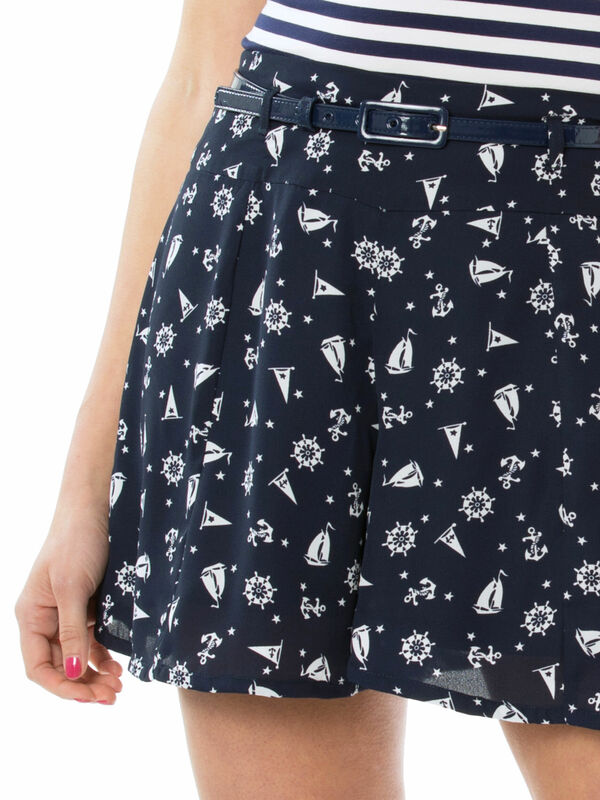 Lightweight and fully lined in satin, these shorts have a retro nautical print and a removable patent navy belt at the waist.